This yummy burger will be a great addition to a play kitchen and will bring much joy to a little boy or girl who loves pretend play! 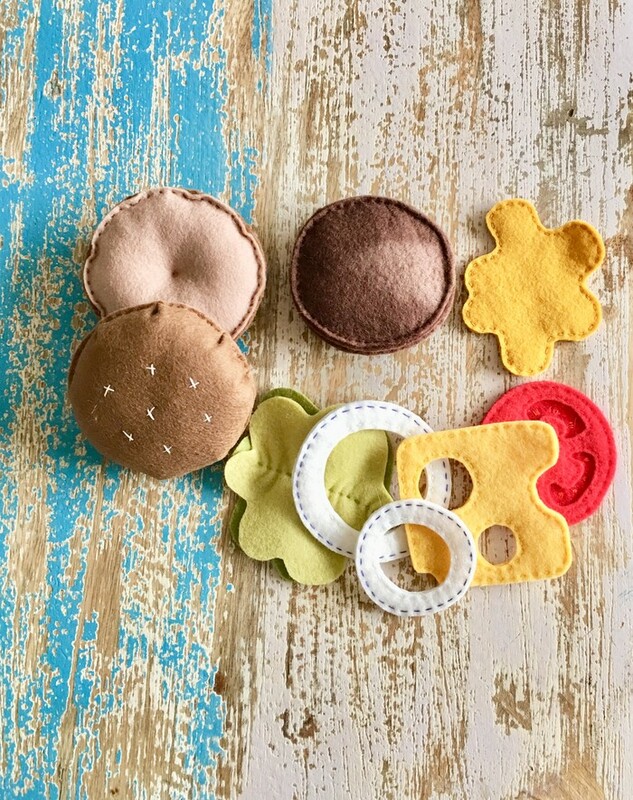 Stitched by hand from high quality pure new wool felt with no toxic dyes, this felt food is safe for your little one. Tested on my 4 year old for fun levels and durability! (2,5 – 3 years +, not a teething toy). 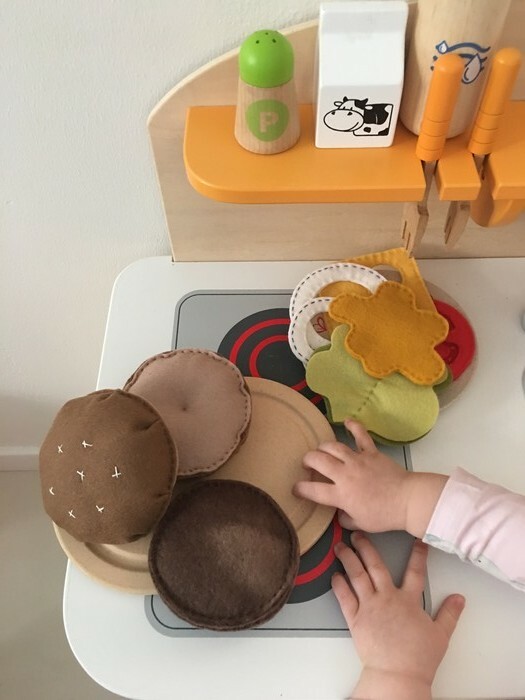 Burger includes: two buns, burger pattie - made with hand dyed felt and looks almost like a real one!, tomato, cheese, two onion rings (large and small for extra learning opportunity), lettuce, mustard.